Kalmegh house to Kharche to Nanoti House to Lodkhedkar to Bagdiya to Rathi house to Sharma house to Bhadange house to Usha Kiran App. Aqueous extract of Kalmegh (Andrographis paniculata) leaves as green inhibitor for mild steel in hydrochloric acid solution. 2010 and Sanjutha et al, 2008, increased growth and yield parameters in Kalmegh with the application of FYM @ 15 t [ha. Nees Syn: Kalmegh, Acanthaceae) is abundantly found in Asian countries (China, Thailand, India, Sri Lanka and Pakistan) (Huidrom and Deka, 2012). Post Graduate Student, Department of Orthodontics, Dabasaheb Kalmegh Dental College, Nagpur. The herbal garden has 116 species of medicinal and aromatic plants like Sarpgandha, Kalabandha, Citronella, Lemon grass, Khus, Geranium, Coriander, Sandalwood, Tuber rose, Jasmine, Kalmegh, Tulsi, etc, in an area of about 7000 sq. Interactive influence of organic manures and inorganic fertilizers on growth and yield of kalmegh (Andrographis paniculata Nees. Standardization of the Indian crude drug Kalmegh by high pressure liquid chromatographic determination of andrographolide. 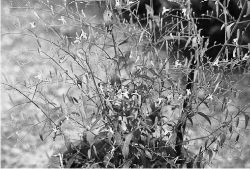 Andrographis paniculata is also commonly known as Kalmegh is an important medicinal plant, occurring wild in India, and is used both in Ayurevda and Unani system of medicine (Chadha, 1985). Andrographolide and Kalmegh (Andrographis panieulata) extract: in vivo and in vitro effect on hepatic lipid peroxidation. Improved plant height, branching and spread because of AM fungal inoculation has been reported in other medicinal plants like coleus  and kalmegh .